Who are the 5 Liverpool youngsters considered for a bench role vs. Man City? Jurgen Klopp drafted five academy players into his Liverpool squad for training ahead of tonight’s Champions League first-leg clash with Man City. The Reds’ preparations for their biggest game of the season so far have been hampered significantly by an injury crisis in Klopp’s ranks. Steeling his side to secure an advantage heading into next week’s decider at the Etihad, the German is without Joe Gomez, Joel Matip, Ragnar Klavan, Emre Can, Adam Lallana and Ben Woodburn. This left Klopp with just 18 senior players, including three goalkeepers, and this saw a clutch of call-ups from Liverpool’s under-23s ranks. 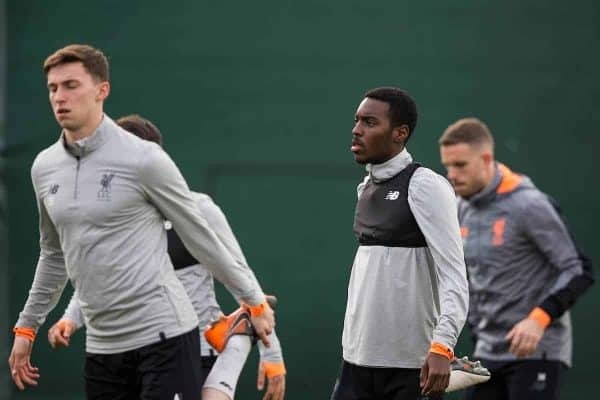 Conor Masterson, Nathaniel Phillips, Herbie Kane, Curtis Jones and Rafa Camacho were all part of training, and it is likely at least one will be on the substitutes’ bench at Anfield. 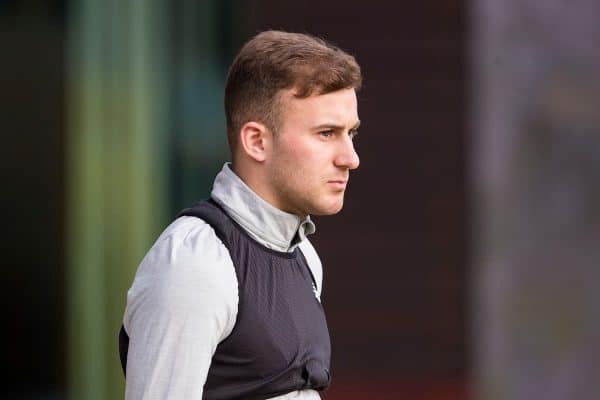 Only Masterson was registered as part of the Reds’ initial squad for the knockout stages, but a further addition could have been made by 11pm on Tuesday night. So what do we know about the five youngsters who could play a part tonight? Signed as a promising 16-year-old from Irish outfit Lucan United, Masterson is a cultured centre-back who has made swift progress through the ranks in recent years. Captain of Neil Critchley‘s U18s last season, he made the step up to the U23s along with his coach in the summer, and has been a regular fixture at the heart of the defence this term. Masterson has not been the most impressive centre-back in Critchley’s squad, with that honour bestowed to his partner George Johnston, but he is arguably the most well-rounded. He was part of Klopp’s squad for the Reds’ mid-season training camp in La Manga in February of last year, and has joined the first team on a number of occasions in 2017/18 too. Having turned down Man United, Man City and Chelsea to join Liverpool, tonight could well vindicate Masterson’s decision. An interesting inclusion given his lack of opportunities at 20 and having spent the majority of the season out with a back injury, Phillips is likely included ahead of Johnston due to being right-sided. The committed defender joined from Bolton Wanderers after an impressive trial in 2016, opting against the offer of a scholarship at the University of North Carolina. Largely considered an arrival designed to bulk out the Reds’ U23s squad, Phillips signed a new contract with the club in October, hinting at a longer-term future. 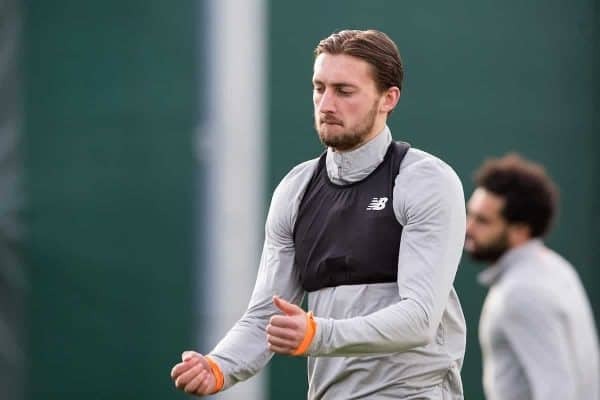 It is doubtful that he would be included ahead of Masterson, but having been part of Klopp’s squad for last year’s training camp in Tenerife he may have impressed the manager enough to be considered. After an injury-plagued campaign last time out, Kane has made great strides this season having signed a new long-term deal with Liverpool at the start of 2017. A composed, energetic midfielder, Kane can operate both in a deeper role or more advanced overlapping as a No. 8, which is perhaps his best position. He has worn the captain’s armband for the U23s following Corey Whelan’s loan switch to Yeovil Town in January and, bar a frustrating red card in February’s 4-0 win over Stoke City, he has been a fine leader. 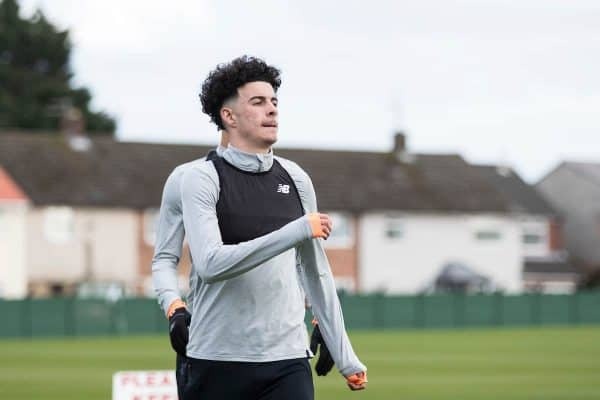 The ex-Bristol City youth was drafted into Klopp’s training squad back in October, and having only turned 19 a month later he could well have a future under the German on Merseyside. The biggest prospect among this quintet, and arguably the most promising youngster to pique Klopp’s interest since Trent Alexander-Arnold. 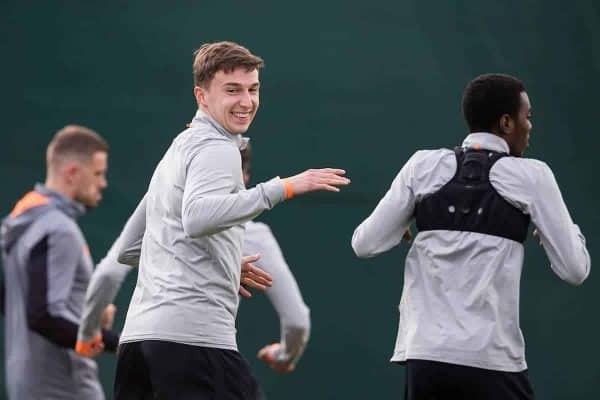 Jones made his debut for the U18s as a 15-year-old, and he has made rapid progress since, now established as a regular under Critchley at U23 level and under Klopp at Melwood. A versatile attacking midfielder, the Toxteth native can operate on either flank and as a No. 10, but his future is most likely to be deeper in midfield as a No. 8. It would be remiss to pigeonhole Jones, though, as he is so vastly talented he could carve out a niche in a variety of positions. A great dribbler with excellent close control, creativity and a canny finishing ability, Jones is unlikely to feature against City, but his breakthrough is only a matter of time. 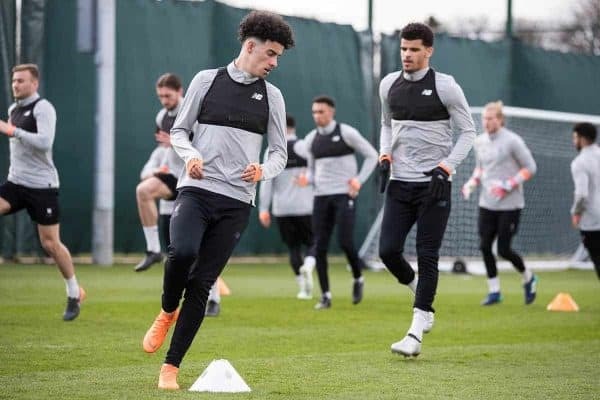 Along with Jones, Camacho has been a frequent presence in first-team training since February, with the two 17-year-olds clearly making an impression. The Portuguese is more of a wild card than the Liverpudlian, but his development has been remarkable in a season that has seen him bridge the gap from U18s to U23s. He scored a stunning goal for Steven Gerrard’s U19s in their 2-0 victory over Man United in the UEFA Youth League, with this moment of magic typical of his game. A bright, pacy winger capable of playing on either flank, Camacho is adept at driving at full-backs or cutting inside onto either his left or his right foot, while his off-ball work has improved markedly of late. Behind the likes of Mohamed Salah and Sadio Mane, is it highly unlikely Camacho will play tonight, but he could be being moulded as a possible backup for the future.